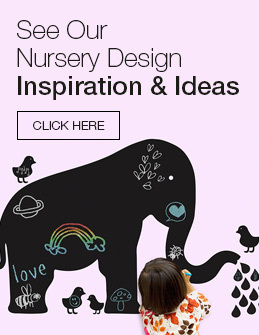 Get instant help from a Nursery Specialist. Email our Nursery Specialists with any questions. Click here to see our FAQs and get your question answered immediately. Schedule a call with one of our Personal Shoppers. Even though the Mini Emily Crib by DaVinci is smaller than a standard crib it's just as beautiful and comfortable. This crib is gorgeous for any baby's room because of its elegant ebony finish and classic design. You can also move it around the house or around the room easily when cleaning because of its light frame. When it comes to safety, this crib is top rate because of its static side with no movable parts along with the the 4 level mattress support system you can lower as baby grows. It comes with a foam pad that offers your baby optimal sleep comfort. 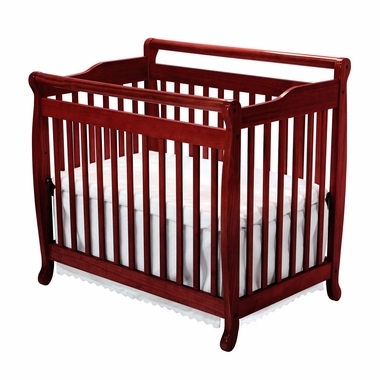 Use this crib to free up floor space in your baby's room, or use in a smaller nursery or at grandma's house. Either way, this crib will add safety, comfort and beauty to any nursery. Includes foam mattress pad: 38" x 23.25" x 1.5"
Warranty: DaVinci offers a 1 year warranty on parts and defects in workmanship. Parts can be ordered direct from DaVinci's website. Good solid smaller crib. Did replace the mattress to a better one. Looks much more expensive then it was. Would recommend it. We didn't have much room in our nursery, so we decided to go with a mini crib. this one is very sturdy and well made and fits just right for us. We were able to buy a matching changing table and dresser, which we wouldn't have been able to if we went with a full size crib. The crib bedding was a bit harder to find, but found several at our local baby store, but went online for the purchase instead due to having a larger choice. The bedding was actually much cheaper online, so good choice. The mini crib is a great deal, and this one especially. We priced around and the savings on the crib went to the bedding. Assembly took less than an hour and was not complicated at all. © 2003-2017 SimplyBabyFurniture. All Rights Reserved. 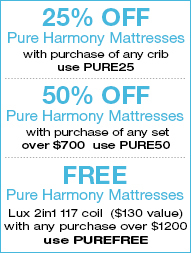 Buy any crib or nursery set under $700 and get 25% off any Pure Harmony mattress. Add your crib or set plus Pure Harmony mattress to the cart and enter code PURE25 to get the deal. Buy any nursery furniture set over $700 and take 50% off any Pure Harmony mattress. Add your set plus mattress to the cart and enter code PURE50 to get the deal. A pre-order is an order that allows you to purchase an item that is arriving soon. These arriving soon items will be marked as “Pre-Order”. Baby Furniture comes in and out of stock often. By placing an order we hold the item from the next incoming shipment for you. Many times our more popular items may sell out before they actually come into stock. If you wait to order You may face additional wait times so it is better to place your pre-order to ensure you get one from the next incoming shipment. Pre-orders are on a first come first serve basis and are filled based on the original order date. Under no circumstances will we fill an order out of sequence. When does my Pre-Order ship? Each Pre-Order item has an expected “ship date” on the listing. This is the date from the manufacturer and usually are right on target. The actual ship date can vary depending on shipping delays, customs delays, weather, or other unforeseen circumstances. SimplyBabyFurniture.com will do everything we can to keep you up to date on shipping times, however, if your ship date comes and you have not received an email or call from us, please email or call us to get status. What if I order in stock merchandise with my Pre-Order? If your items ship via Fedex Ground, then they will ship as they come into stock. For truckline items, all items will ship together when your Pre-Order arrives. If you still have questions on PreOrders, please see our FAQ page or email us directly at service@simplybabyfurniture.com. Thank you! Each Pre-Order item has an expected “ship date” on the listing. This is the date from the manufacturer and usually are right on target. The actual ship date can vary depending on shipping delays, customs delays, weather, or other unforseen circumstances. SimplyBabyFurniture.com will do everything we can to keep you up to date on shipping times, however, if your ship date comes and you have not received an email or call from us, please email or call us to get status.